Looking for a reliable auto body mechanic to fix damage to your car? Discover how to avoid overpriced repairs and shoddy workmanship. One of the most important things you can do is ask around. Ask your friends, family or co-workers where they take their car for repairs. If time allows, speak with multiple people and weigh your options before making a decision. Estimates on collision repairs can vary greatly. Many people will go with the recommendations made by their insurance provider but you are well within your rights to get more than one quote. Your claims representative may even indicate the process will be delayed if you choose your own body shop mechanic. 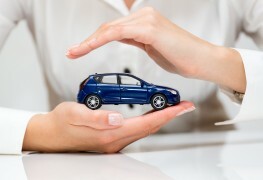 Don’t let the insurance provider sway you into making a decision you are not comfortable with. When selecting an auto body shop, you will likely not go with the most expensive quote. It’s wise not to go with the cheapest one either as you might have major problems down the road. If there is a garage you like with solid referrals, you can ask if they will match other estimates. Online reviews can be helpful but there are some things to consider. Try to find reviews with concrete details about the type of work and the level of service provided. Be wary of the one-line reviews from unhappy customers. Even the best businesses will have a few unhappy customers that will try to damage their reputation. Does the garage you are considering offer any kind of warranty? How long is it and what does it cover? You should get a minimum one-year warranty for body work. Beware of shops that offer lifetime warranties, as these are typically selling points with various stipulations and conditions that may be unrealistic for most drivers to adhere to. Is the shop busy? Is the shop disorganized or excessively dirty? Does the shop manager take time to answer your questions in a clear and concise manner? If your gut tells you something is wrong, it’s time to move on. You want to get your daily routine back to normal as quickly as possible – that’s only natural. But you also don’t want to add more frustration to what is already a stressful situation. Do your homework and make a wise decision that will save you money and help you avoid future problems.